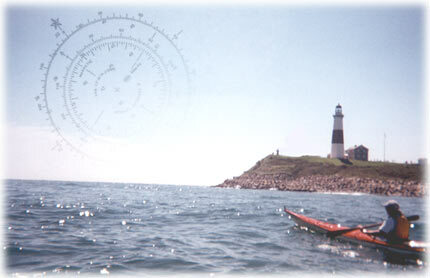 Sea Kayaking Skills and Adventures, Ltd. of Long Island provides kayakers with the knowledge and tools needed for a safe and richly rewarding experience in the maritime environment. Our enjoyable and innovative programs, in the classroom and on the water, are designed to develop in everyone an understanding of good seamanship and sound technique. Our teaching style is relaxed but comprehensive. We cater to the beginning and intermediate kayakers and are flexible for those wishing to update or maintain their skills. Camps Program: Our Changing Tides PaddleCraft division has developed a special program just for Camps, Clubs and Scout troops. It distills all our capabilities into special training tailored to specific organizations. We cover kayak, canoe and SUP at the level needed for camp counselors and the equivalent with a minimum of paperwork. To learn more review our CT PaddleCraft Camps Program or contact us at 860-799-5459. Quick Classes: we have just added six new Quick Classes to our library of free on-line classes. Be sure to check out the new lessons on our Quick Class Archive page. New URL: You may have had trouble locating us. The reason is we have instituted a new domain name and are now located at "www.SKSAltd.com". Hopefully this will be easier to remember. We appologize for any confusion, but as you can see: we are still here with all the great content you used to rely on for planning your trip and learning new skills. We also gave our website an update to a modern responsive verson for all the new screen sizes. Hopefully you will find the new look enjoyable and helpful in finding everything you need to know. If our new site looks wierd to you, try hitting "refresh" or "clearing browsing history" to speed up propagation of changes through the servers. Questions or comments: contact us via email or call us at 860-799-5459. Our HQ has moved: In case you have not heard, we have moved our HQ across the sound to Connecticut where we now operate as Changing Tides PaddleCraft. We still perform training on Long Island in various locations and will be happy to schedule classes and special events on request. We wish to thank all our loyal students and friends and invite you to join us in CT when the opportunity presents itself. For more on our current activities, please visit our CT Website at www.CTPaddleCraft.com. For more information or just to chat, call Elizabeth at 860-799-5459. Private Lessons: for one-on-one training, or prefer the security of a personal lesson. Two people may want to learn together under semi-private conditions. It is always possible to schedule a special session to assess and improve your skills. Download our Flyer for details. Contact us to arrange for a custom program that meets your personal requirements. Group Lessons: Do you have several friends who would all like to learn paddling together? Would your club like to schedule a custom training curriculum? Does your company want a special tour to foster "team building" among personnel? we can meet your needs. Challenge us to arrange custom lessons and tours for your group at accomodating rates. Contact us to arrange for special training or outings that fit your needs. Gift Certificates: Give the gift of safety, training and adventure to those you love (or even yourself). Kayak or Canoe classes, clinics and tours make thoughtful gifts, and are available now. The gift of fun, knowledge and skills will last a lifetime. What could be better? Call 860-799-5459 to order your certificate. Skills Classes: SKSA staff are certified to teach ACA skills classes in Coastal Kayak, River Kayak, Touring Canoe, River Canoe and SUP. Whatever your needs we should have a class for you. Contact us with questions. Trip Planning: a fun trip is a safe trip! Launching is optional, but landing is required. Prior proper planning prevents poor performance. Plan for success and visit our new Trip Planning page for plenty of pointers on proper planning! ACA Skill Assessment: We provide ACA skill assessments in coastal and river kayak, touring and river canoe and Stand Up Paddleboard (SUP). For more information visit the ACA website. Trip Leader Training: We are certified to offer Trip Leader Training and Assessment through the American Canoe Association. This is a two-day curriculum with exam. Interested clubs, shops and camps, please inquire. Instructor Certification: SKSA and CTPC are certified to offer ACA Instructor Development Workshops, Instructor Certification Exams and Instructor Updates for Coastal Kayaking levels 1 through 4. We invite inquiries from paddlers club leaders, and camp counselors throughout the Northeast region. .
Quick Classes: do you have a question on a particular concept? We have put together a series of short topical lessons that answer some frequently asked questions. Peruse our Q-Class Archive to select the lesson of your choice. Launch Sites: Many of our students and friends ask where they can go to launch their new boat. We decided to put together a list of public put-ins as a service to our clients. Check out our kayak Put-in Page. Please help us keep the list current and growing. Please Contact us to provide updates, corrections or to let us know of any we missed.